Death row prisoners in Texas are strapped to this gurney in Huntsville before they are executed. 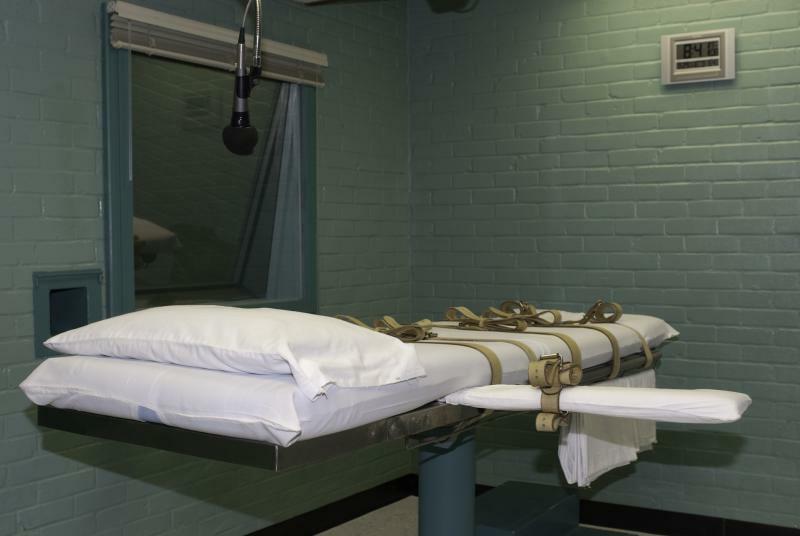 A Houston man was executed tonight for murdering two people in 1993. The Texas Department of Criminal Justice says the execution drug pentobarbital was administered to Willie Trottie at 6:13 p.m. He was pronounced dead at 6:35 p.m. In 1993, Trottie burst into the family home of his ex-girlfriend Barbara Canada and shot her to death. He also killed her brother execution-style and wounded Canada's mother and sister, according to the TDCJ's offender information. “It’s a particularly bad case," Harris County prosecutor Roe Wilson says. "He had threatened her for months and kept telling her he was going to kill her." About 90 minutes before the execution, the U.S. Supreme Court had rejected Trottie's eleventh hour appeal, the Associated Press reported. His attorneys had argued that TDCJ had intended to use an expired batch pentobarbital. In a court filing, Trottie's lawyers argued that it could cause him torturous pain – a violation of his Eighth Amendment rights. The TDCJ said the drug does not expire until the end of the September and that tests show it is effective. Trottie's lawyers argued the expiration date was unreliable, and they said the company that did the tests, Eagle Laboratories, was criticized by the Food and Drug Administration in 2013 for having improper lab controls and procedures.